This place turns into a very small version of Dilli Haat with artisans coming from around the country to sell handicrafts & handloom. 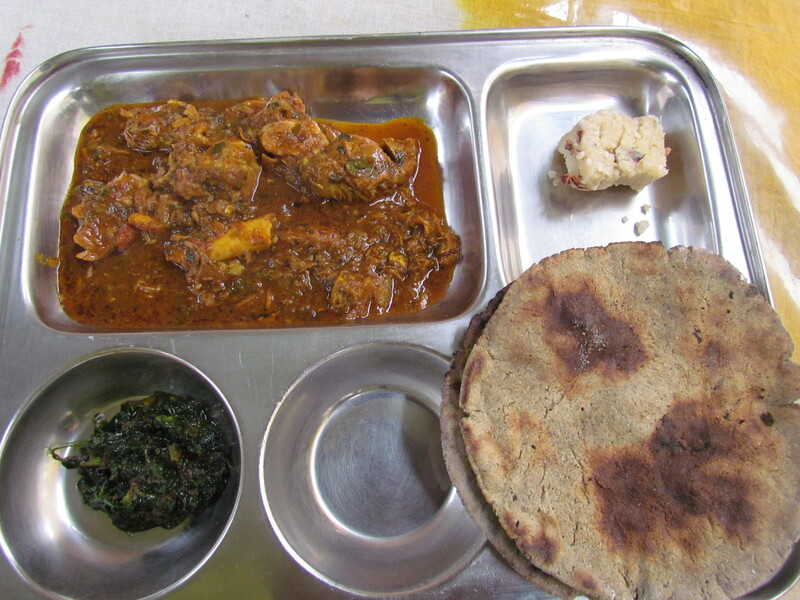 Love trying out regional dishes brought in by people from around the country, cooked the way they cook it at home. 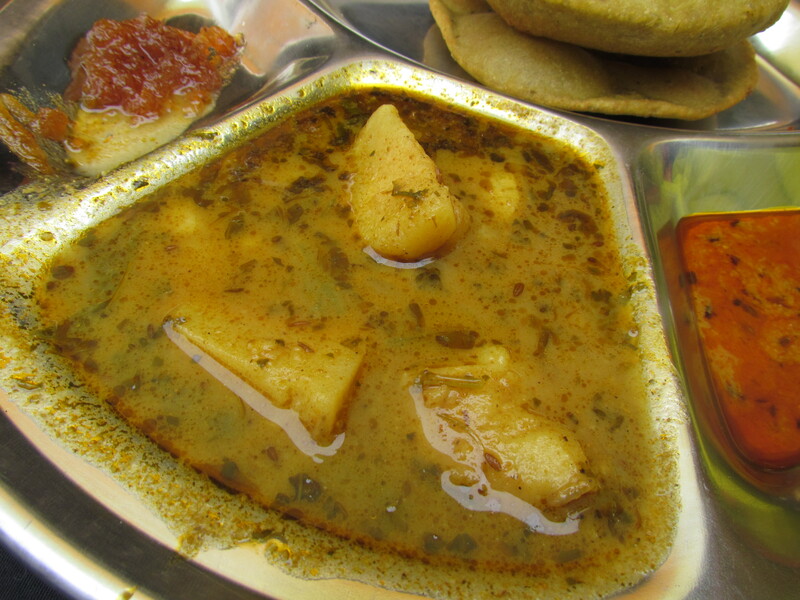 Meal for 2: Rs 200 onwards. ‘NATURE BAZAAR at Andheria Modh, New Delhi, is a joint initiative of DASTKAR, a leading Indian craft NGO, and Delhi Tourism. 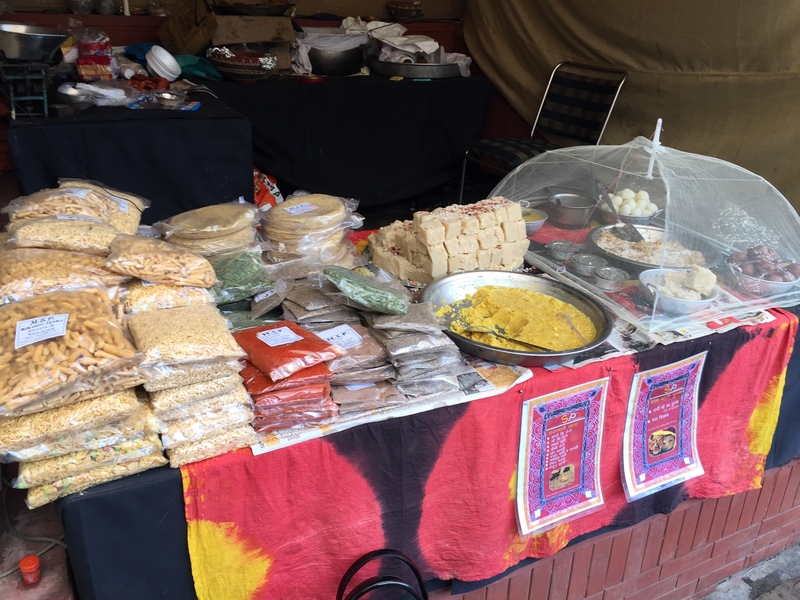 Monthly events, each with their own distinctive theme and character, with new participants and products every month, showcase India’s diverse craft heritage – the 100 stalls changing with the festive calendar and seasons. In between the themed 12 day Bazaars every month, the GALI-E-KHAAS, a line of permanent stalls provides visitors with a regular space for sourcing craft, textile, natural and lifestyle products. We hv been to this place quite a few times & the experience has usually been outstanding. 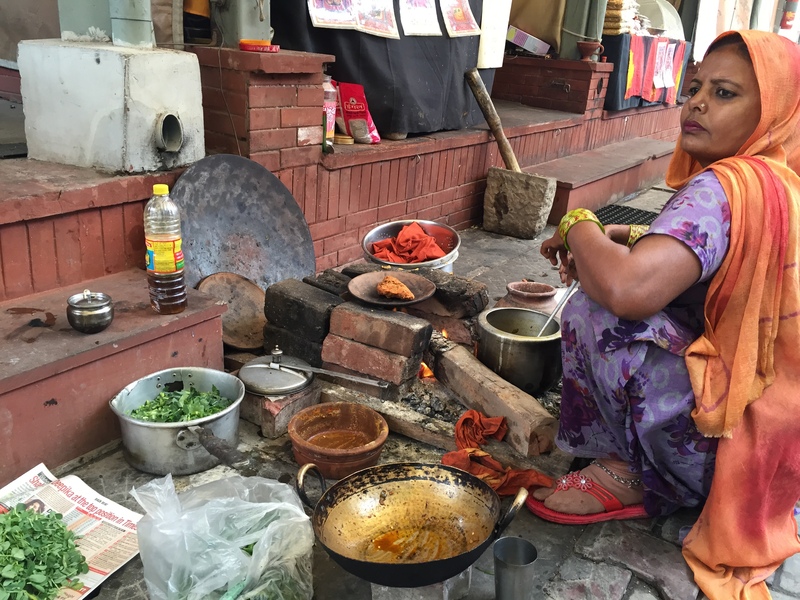 Not only r there limited but very special artwork (coz the clientele seems to b less of a value seeker here than in Dilli Haat), but loads of great local food options. 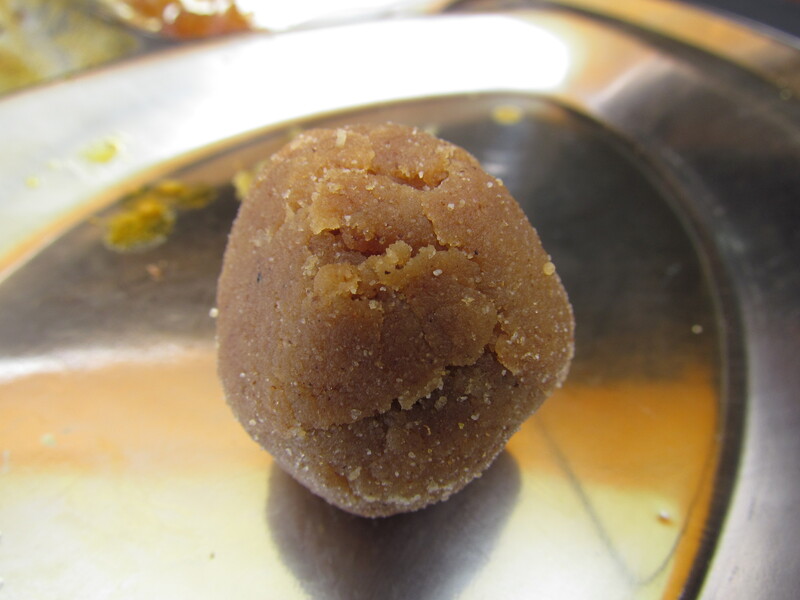 I remember a Guy from Rajasthan selling things as diverse as bajra kachoris, methi laddoos & honey gathered from forests. 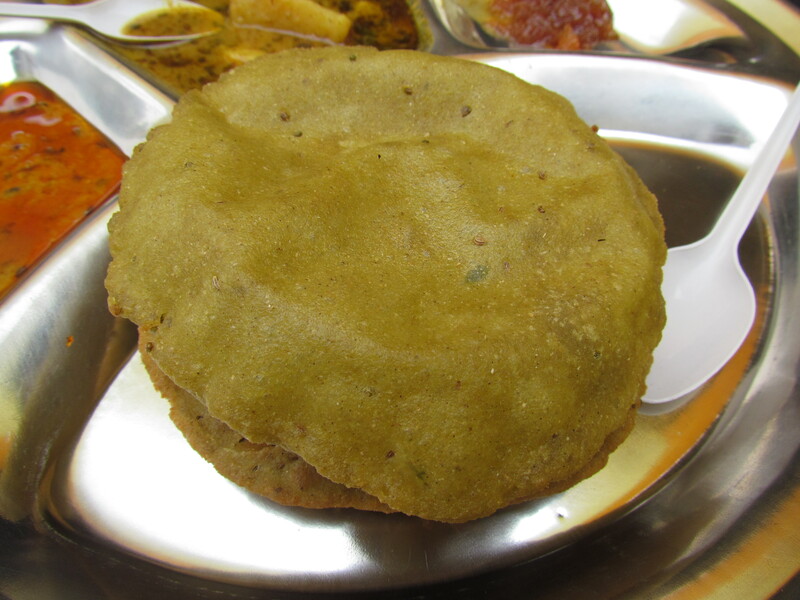 The bajra kachoris were awesome – A bit thicker, rougher but YUMM to taste. This was accompanied by very nice aloo ki subzi & achaar. 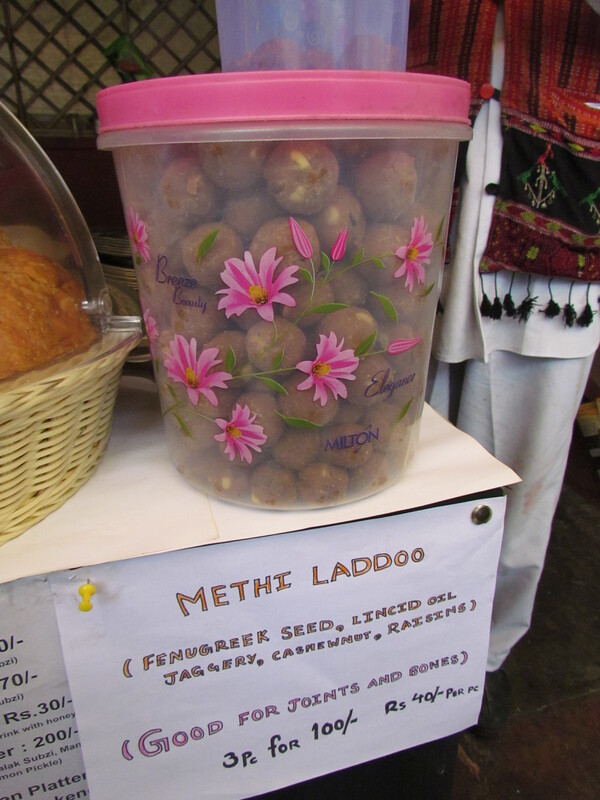 The methi laddoos were coarse, sweet, had a mild bitter aftertaste & very nice. Jungle honey was awesome. 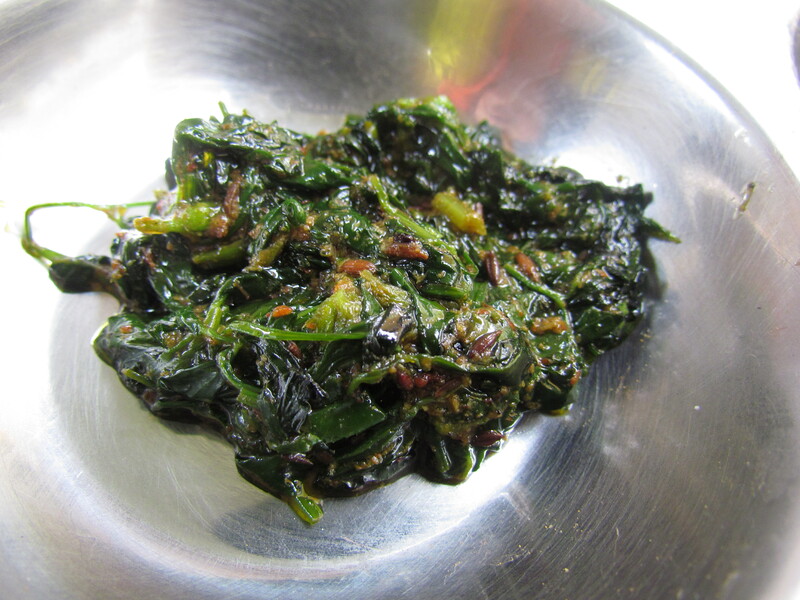 The guy said they do deep into jungle to get this honey – wild flowers. 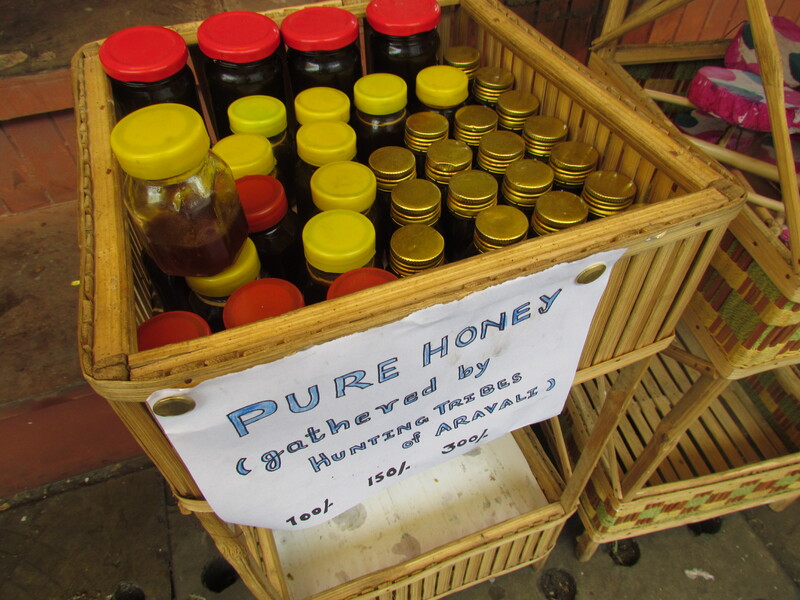 One of the best honey I have had in a while – unbeatable flavors & raw taste. Loved it. 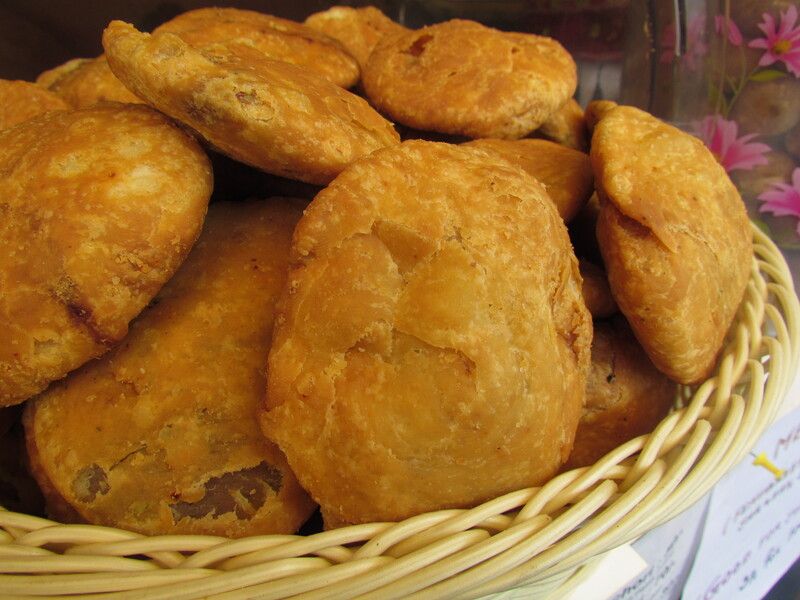 They were also selling big Jodhpuri Pyaz kachoris. They had crisp outer layer, sweetish (natural sweetening from onions) filling & were very tasty. 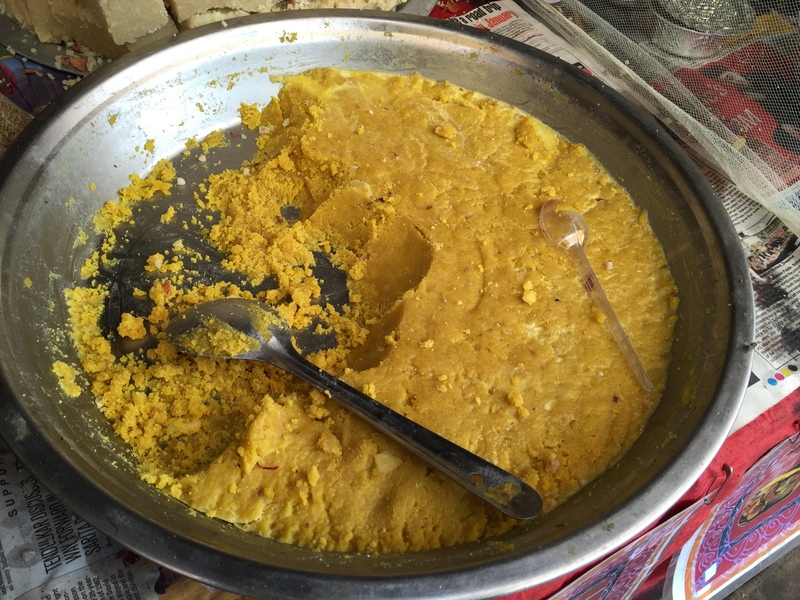 In another stall we found food from different parts of the country – It said ‘Chatori’. 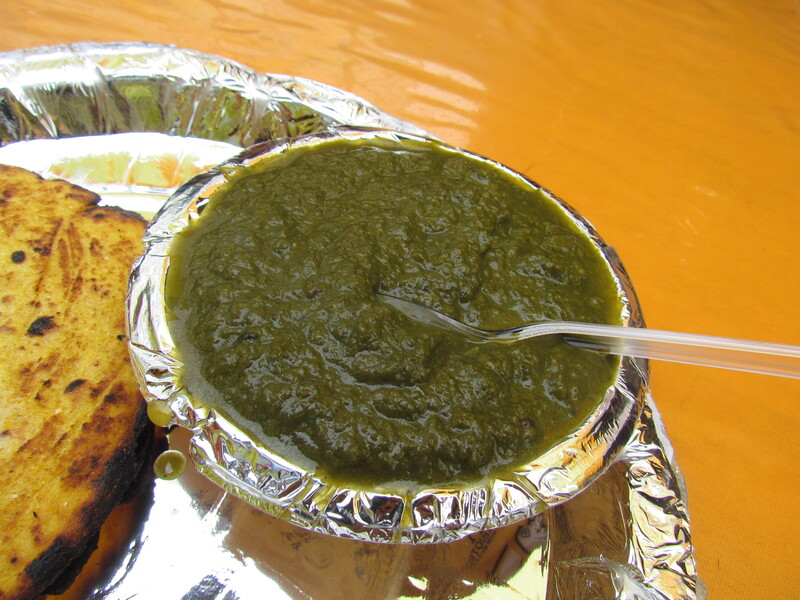 We had the Makke di roti with sarson da saag. Surely these were not ‘the best we have ever had’ but were very good. 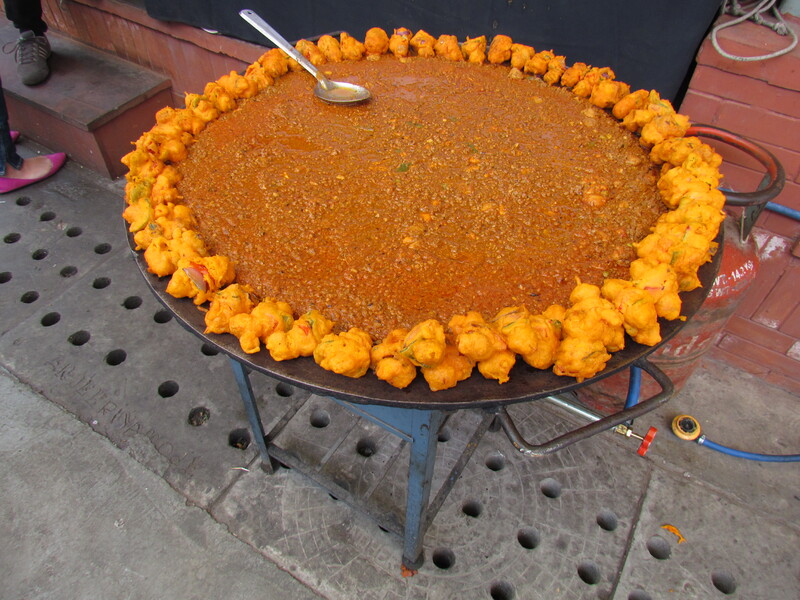 The show stopper was Matka mutton with bajray ka roti. 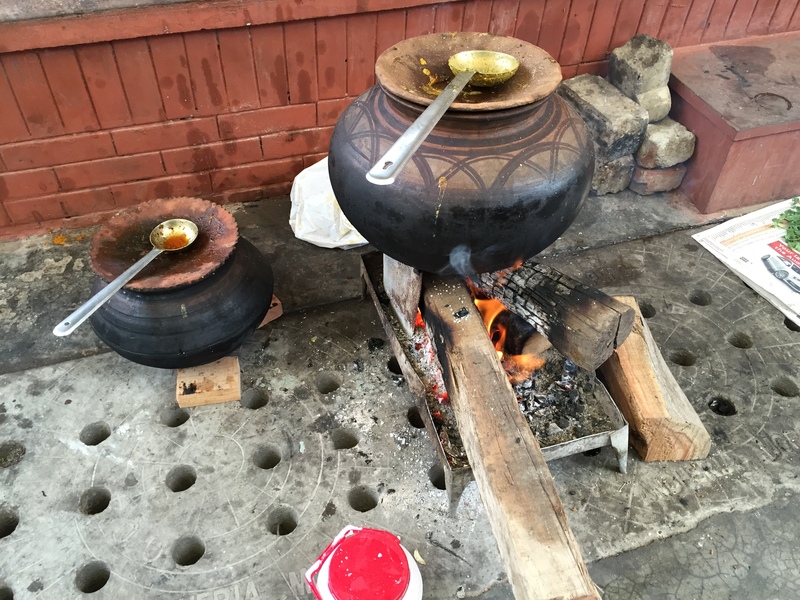 This mutton was actually being cooked in a matka from scratch on wood fire!!!! 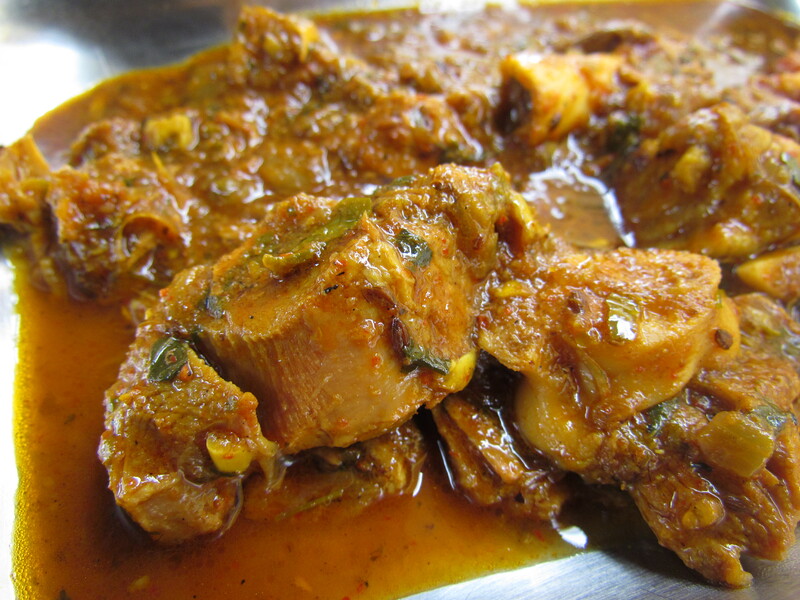 Mutton was chewy, juicy, hot, had full spices and was robust & totally rustic. Enjoyed it with handmade , uneven, imperfect shaped bajra rotis. 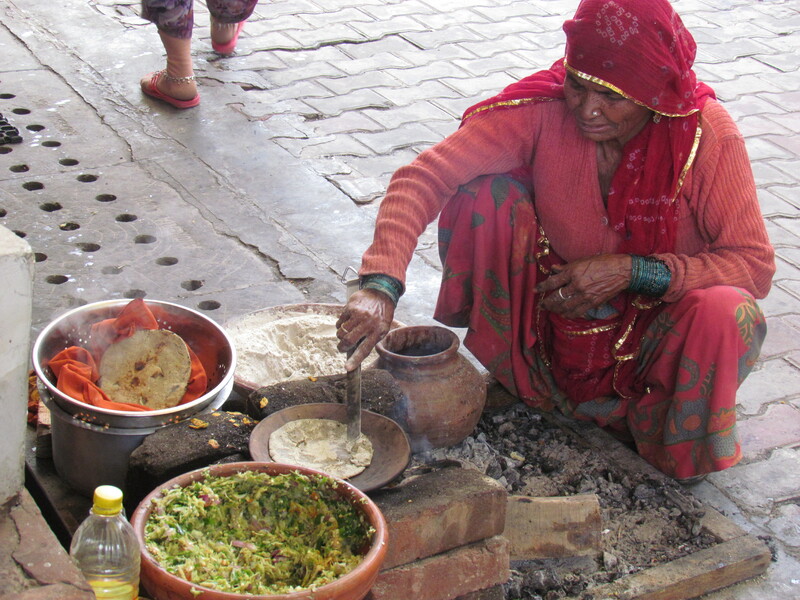 We also saw them cooking saag. They said it was not for sale but for their own consumption. We requested and got a portion. It was just too good. Better than some of the best. 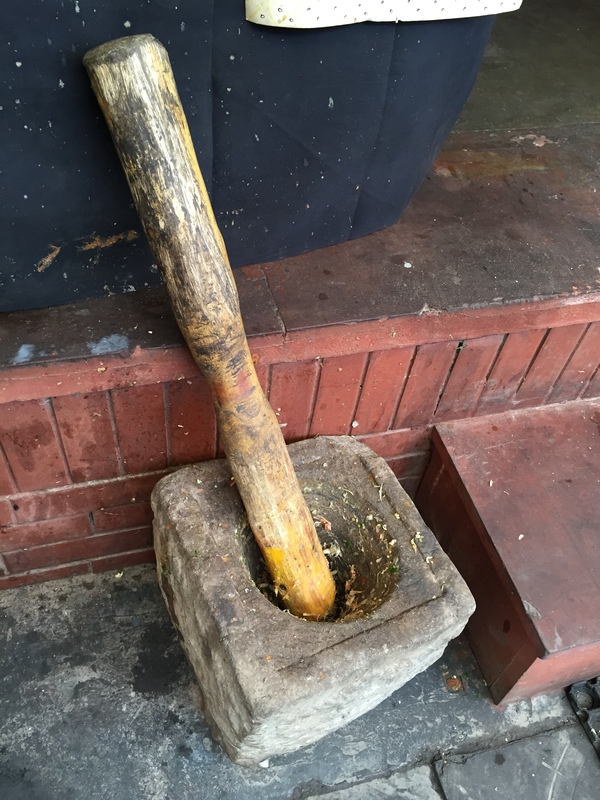 They were using a traditional stone with a hole and a wooden log to pound the spices, garlic etc. 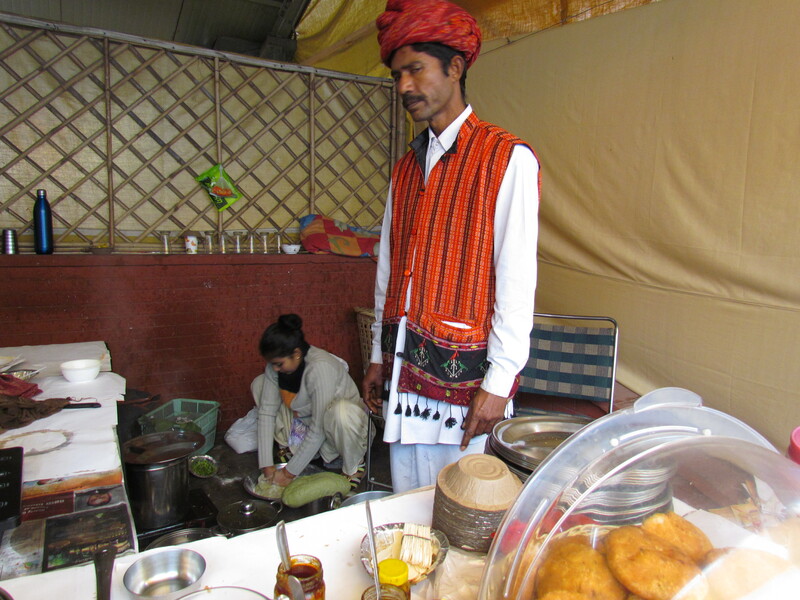 They were also selling a whole range of traditional, crude, basic sweets, fries and other locally packed food. 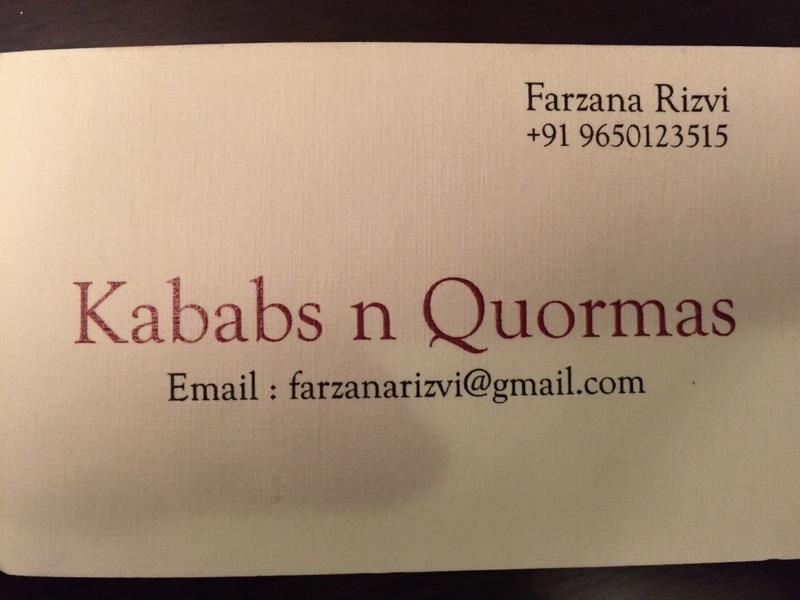 One of these stalls housed Farzana Rizvi’s awesome ‘Kababs & Quormas’. Had amazing Lucknowi Dum biryani there. 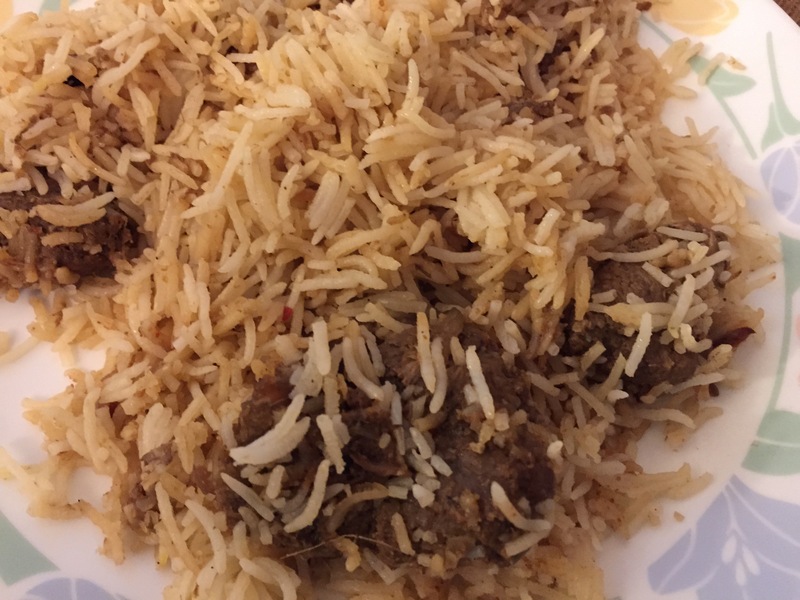 Long, independent, aromatic, super soft, melt in the mouth rice with awesome meat pieces that were falling off the bones at the slightest provocation. 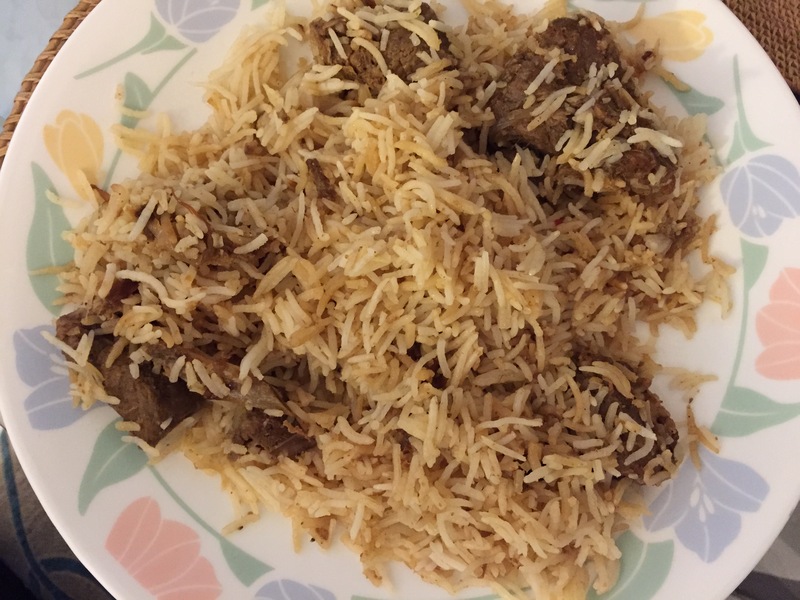 The aroma of good meat was in the rice & so were the masalas. Outstanding dish I must say. 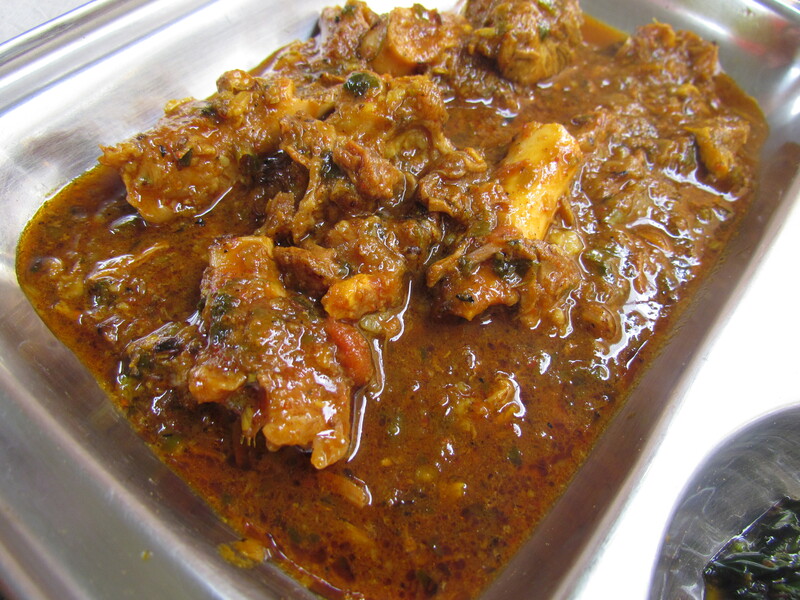 We also tried mutton Korma. That was another gem. 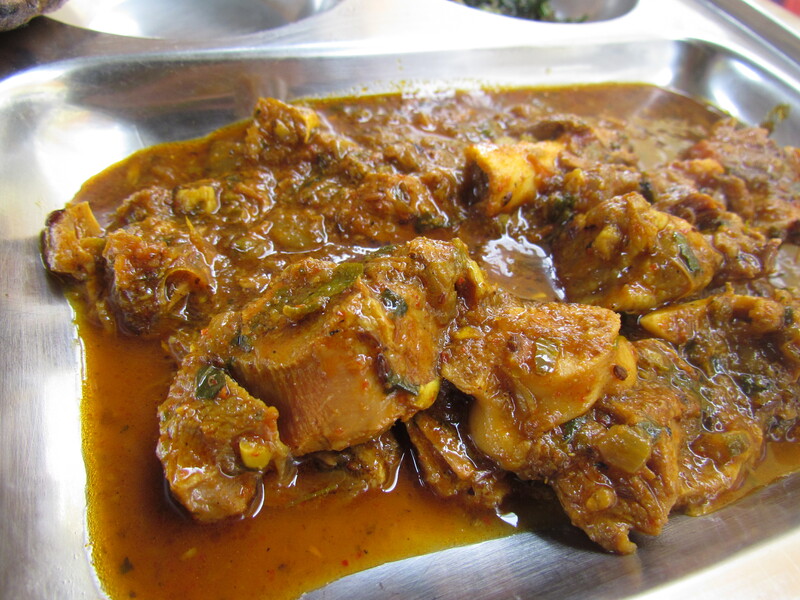 Super soft meat pieces in thin spice-ful but not spicy not hot gravy. It was anything but on the face. Very enjoyable. Check this place out. Everytime u go, u might find different people but so far in my many visits I have always loved it. Look forward to hearing ur comments. Great info.. is this festival still on..? i mean does it have any end date. Hi Asheesh, this is round the year. Every fortnight new people come. Sometimes there r theme festivals. 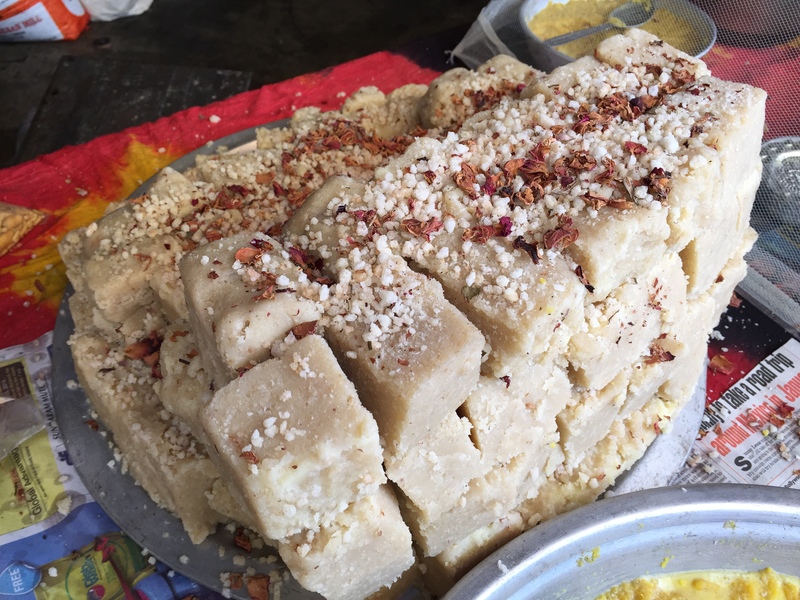 Since vendors change, consistency is low but u might just chance upon a great experience. I hv never been disappointed. Thanks Yummraj! will definitely try it out.